Spanish Flu, or more accurately the 1918 influenza pandemic, is one of the deadliest natural disasters in human history. In struck in the final year of the First World War and spread across the world killing millions of people. Here are 10 interesting facts about this unusually deadly influenza pandemic. It is estimated that the Spanish flu killed more people in 24 weeks than AIDS has killed in 24 years and more in a year than the Black Death killed in a century. Hence it is referred to as “the greatest medical holocaust in history”. The pandemic which started in the final year of the First World War not only killed more people than the World War I but it killed more people than all the wars of the 20th century combined. The mortality rate of the 1918 flu was up to 20% of those infected which is 200 times the usual flu epidemic mortality rate of 0.1%. With nearly one third of the global population being infected it is estimated that three to six percent of the world’s population died due to the pandemic. 500 million people were infected across the world and 50 to 100 million of them were killed. American Red Cross nurses tend to flu patients in Oakland Municipal Auditorium, 1918. 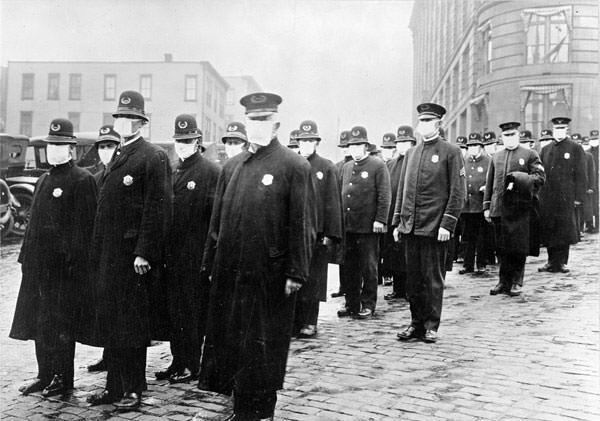 The 1918 flu spread across the world even to remote areas like Pacific islands and the Arctic. A large factor in the worldwide occurrence of this flu was increased travel. Modern transportation systems made it easier for people to spread the disease. By the end of the pandemic, only one major region on the entire planet had not reported an outbreak: an isolated island called Marajo, located in Brazil’s Amazon River Delta. 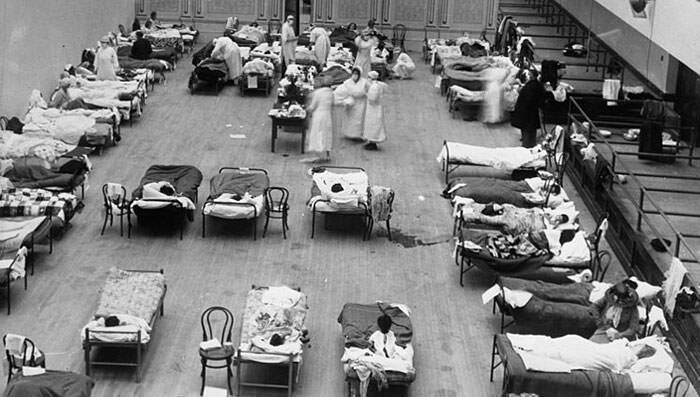 The Spanish flu struck during the First World War. 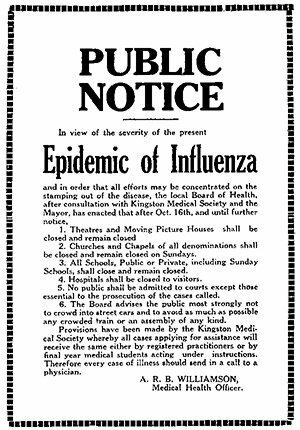 Reports of illness and mortality due to the flu were minimized in countries including US, Britain, Germany and France due to wartime press censorship as it was considered that the news of the flu would be detrimental to the war effort. This allowed the flu to spread rapidly and by the time the newspapers reported it, the disease was running its course throughout the population. 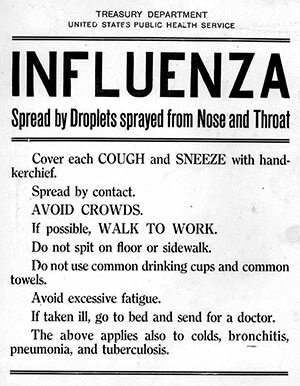 The 1918 influenza pandemic is often referred to as the Spanish Flu although this is a misnomer. Spain was neutral during the First World War and hence the papers there were free to report the effects of the epidemic. Also King Alfonso XIII of Spain contracted the illness which prompted frequent reports about his health in the press. This gave the false impression that the illness originated and was widespread in Spain resulting in the pandemic being called Spanish flu. Although the origins of the 1918 flu have not been established with certainty, it is likely that the flu originated in China and spread when 96,000 Chinese labourers were mobilized to enhance the Allied effort during the war. This is based on the fact that a respiratory illness that struck northern China in 1917 was found by health officials to be identical to the 1918 flu. 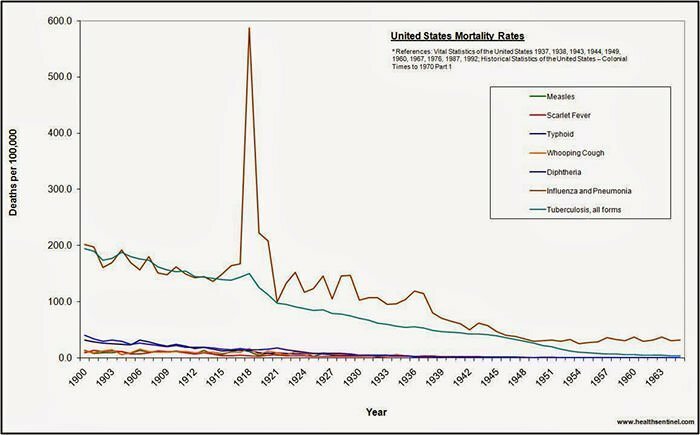 Also the comparably lower mortality rate in China suggests that their population had become immune due to early exposure. Most influenza outbreaks disproportionately kill juvenile, elderly, or already weakened patients. 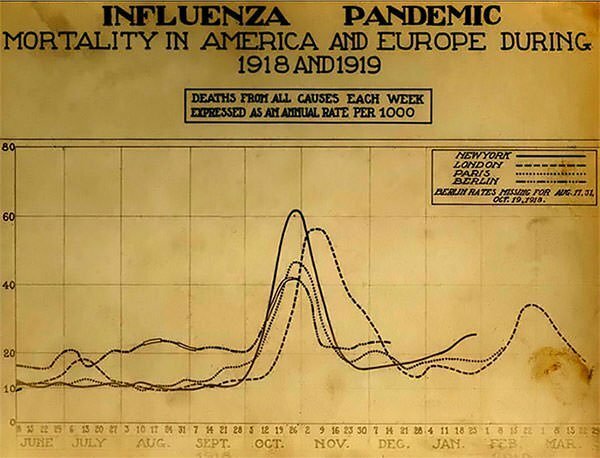 However the 1918 flu predominantly killed healthy young adults. Individuals between the ages of 20-40 accounted for nearly half of the fatalities. This abnormal result is believed to have been caused due to ‘cytokine storm’ in which the immune system over responds to the threat of infection. Thus the strong immune system of young adults ravaged their bodies while the population with a weaker immune system was able to recover. 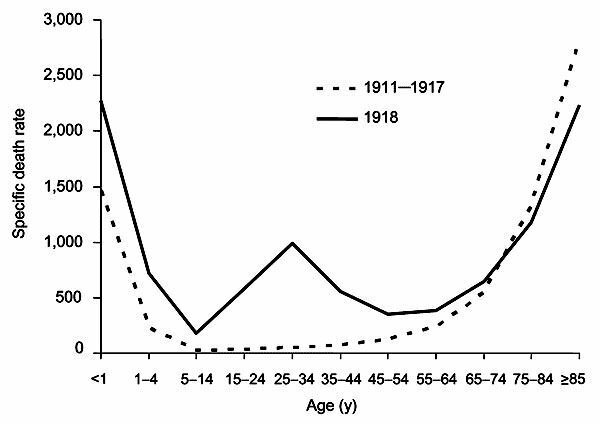 The first wave of the 1918 flu resembled typical flu epidemics with the elderly and juvenile at more risk. It was the second wave which was much more devastating. This is attributed to the war. In civilian life those who are severely ill stay at home while the ones who are mildly ill continue with their lives, thus preferably spreading the mild strain. This was reversed as soldiers who were mildly ill stayed for duty while those who were severely ill were sent in crowded trains to crowd field hospitals thus spreading the deadlier virus. 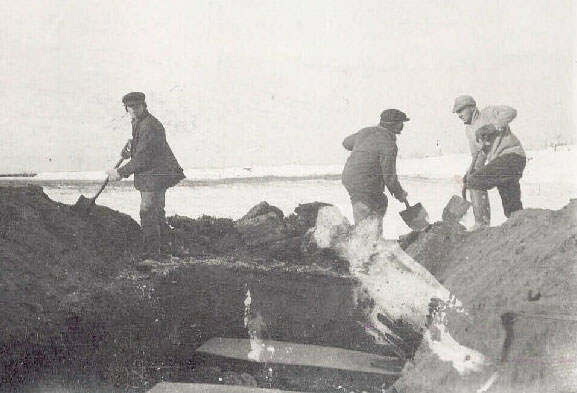 After the lethal second wave which struck in late 1918, new cases dropped abruptly. The reason for the rapid decline of the disease might be that the virus mutated extremely rapidly to a less lethal strain. Influenza viruses usually become less lethal with time as the hosts of more dangerous strains tend to die out and this might have been the case with the 1918 flu too. The Spanish flu faded from public memory quickly which is why historians label it as a “forgotten pandemic”. This might be due to limited media coverage as it coincided with the time when there was much focus on the First World War. Also in people’s eye it might have been an extension of the tragedy of the war. The short duration of the pandemic and occurrence of other epidemics around that time might have also played a role in this. Dr Andrew Price-Smith, an expert on the effects of Pandemic Influenza, has made the argument that the 1918 Influenza Pandemic shifted the balance of World War I in favor of the Allies as the Central Powers Germany and Austria were hit by the flu before the Allied Powers and as the morbidity and mortality rates there were higher. Thank you for the facts, they were very helpful with our National History Day project. Who published your website? Did you publish it on your own or did someone publish it for you? I need sources and I have one more source I need: Publisher of this site. Please tell me. Hi Kaden, the website is published by Turiya Infotainment Private Limited, a company based in New Delhi, India. Hope that helps.